It would have been preferable for me to have posted this in December, but January is not too bad a delay. On Black Friday I started getting really excited about Christmas, but as per usual I refused to go to any big box stores to participate in the commercial extravaganza, but instead, in what seems to be becoming a “day after Thanksgiving” tradition for me and my girls, I stopped by one of my favorite secondhand stores, The Consignment Shack, in La Mesa. (Of course it would be a favorite with a name like that.). My girls and I had a great time poking around the Christmas items, scoring an adorable cache of handmade tree ornaments. And of course we perused the large, excellent, and well-priced record collection. Every time I shop their 3 aisles of wooden bins filled with used vinyl, it brings me back to all of those wonderful college and post-college days I spent trolling the now-defunct Rhino Records shop in West L.A.
A fun coincidence: they all share the same title. I am all for variety, but these were the best of the bunch that day, so that’s that. Let’s examine each one, shall we? This is also one of those fun ’60s records in which there wasn’t enough material to release a full album, so the A side contains all the songs from the show, while the B side simply contains instrumental versions of the same; in this case, by the “Decca Concert Orchestra.” My copy of the original American pressing of A Hard Day’s Night by the Beatles also does this. (I was so confused when I used to listen to it as a young child; I kept wondering, were all of these instrumentals actually in the movie?! It just didn’t seem like a “proper” soundtrack album to this child of the ’80s). I found this link that had some additional info on this album and its artists, including the Sandpipers, who sound familiar, but I’m really not familiar with them. Apparently they recorded quite a lot of “Golden Records” for kids, spearheaded by the great Mitch Miller. How great to be able to sing children’s songs for a living! 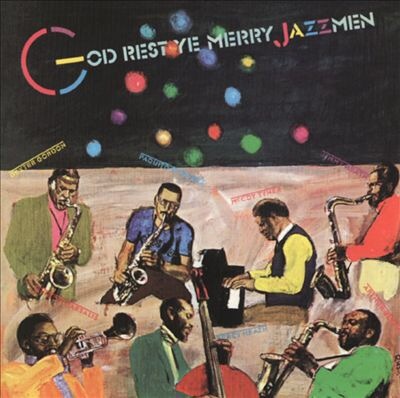 Overall this was really enjoyable and fun to listen to, and will now be a holiday staple. This record was truly a hidden bright and tiny gem; it’s such fun to be able to uncover something like this whilst treasure hunting at secondhand stores. If I’m writing about all the mid-60s music and bands that I love, I should probably start with the Zombies; after all, it was their song Brief Candles that inspired the title of my blog. However, I have a greater love for The Kinks, and, having just experienced listening to a fun Apple Music playlist called Character Songs, I suppose the Kinks are as good a place as any to start. The first rock band I became enamored with was actually The Beatles, thanks to a huge stack of original classic rock records from the 60s and 70s that my 7 older brothers and sisters left behind at our parents’ house. I probably discovered it at about age 7 or 8, and this vinyl treasure trove contained, among other things, almost all of the Beatles’ LP catalog. It’s surprising to me now to reflect that it contained no Kinks records. Maybe my siblings decided to take their Kinks albums with them when they moved out of the house. So anyway, the point is, while I became a Beatles fan very early in my life, I didn’t discover the Kinks until much later – in my 20s and 30s. Of course now you can see it makes perfect sense that I would dig the Character Songs playlist since it is comprised of songs from mostly these albums! So in closing I’ll leave you with this: f you like your music to transport you the way a good short story does, check these guys out. I am so excited to have begun reading one of the fun books I bought at Borderlands Books during my recent trip to San Francisco. I just finished the first story after reading the intro by EF Bleiler, both of which have made me feel like I got my $5.50’s worth – so far. I’m planning to research who EF Bleiler is, but so far I see that he’s acute in his assessments and not one to mince words. In describing Doyle’s conversion to Spiritualism in later life, Bleiler states, “In old age his gullibility was pathetic.” Cripes, man! Gotta find out more about that. 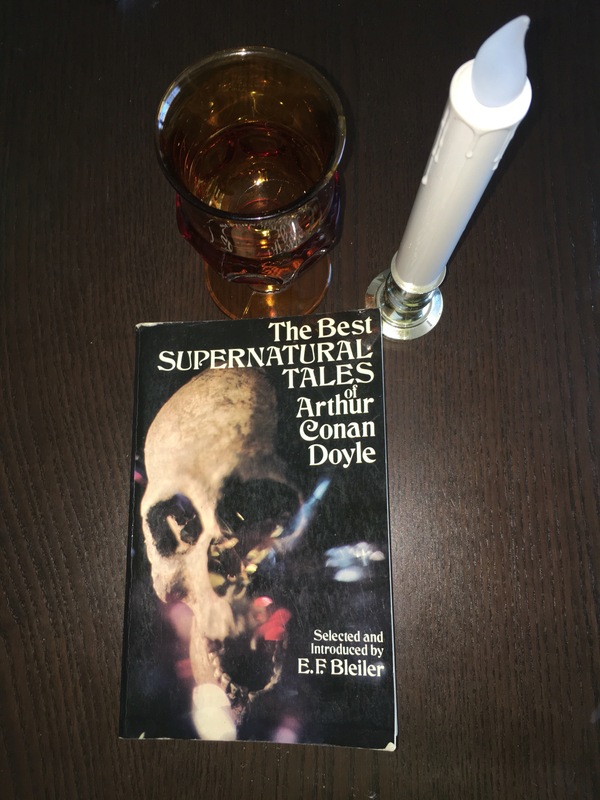 While I do agree that Doyle was one of the finest storytellers (ever), I’ll reserve my own assessment of his supernatural stories until a later date. I’m just excited to be reading a new genre of Doyle after having read all of his wonderful Sherlock Holmes stories. Well I guess it’s similar in style, color scheme, tone and font. 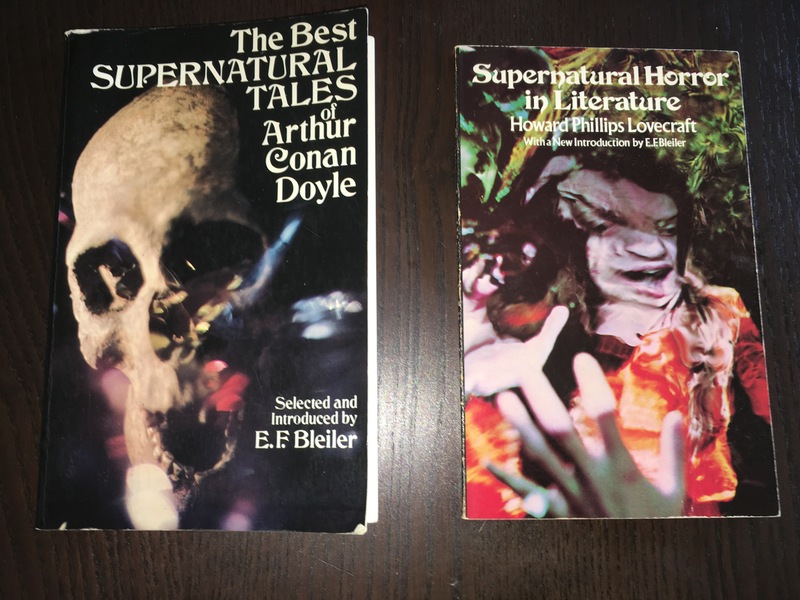 The Doyle book was copyrighted in 1979 and the Lovecraft in 1973. Ah, that good ol’ 70s horror. I thought I should get a post in for December so that I have one per month since I started this blog. 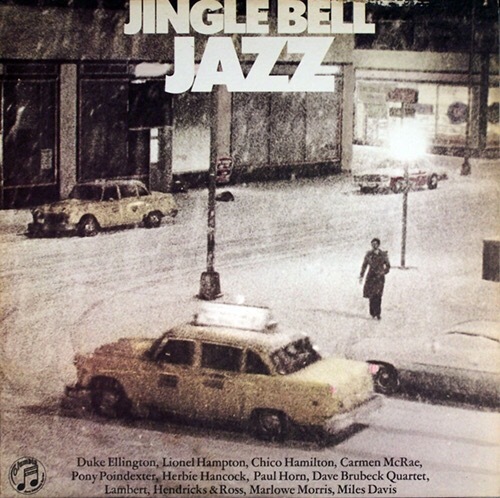 One of my favorite personal Christmas traditions is to listen to my collection of jazz renditions of Christmas tunes. I have a few actual albums (LPs and CDs), but now that Apple Music is in my life, there are oh so many more digital versions to explore. For now, here is my small real-world collection. I’ll start with my two most cherished, and hopefully complete this post tomorrow (the last day of December). I am a huge fan of the Radio Classics channel on Sirius XM. I listen to it almost every day on my work commute, and it led me to discover The Jack Benny Program, which has become one of my all-time favorites. I first started listening to classic radio shows on KNX 1070 AM when I was a kid, thanks to my best friend A. I’d spend the night at her house and we’d listen to the radio together in the dark before we went to sleep. Good times! KNX used to air a variety of different shows every Saturday and Sunday night, but unfortunately they stopped that some time ago. Thank goodness Radio Classics on Sirius XM has taken up the slack! But back to Jack Benny. I’d heard of him, but never heard one of his shows until I started listening to Radio Classics. It’s hilarious! I’ve not only discovered some really awesome performers, but I’ve been able to fill in some blanks in my knowledge of early 20th-century entertainment references and connections (especially those featured in Warner Bros. / Bugs Bunny cartoons, but more on that below). Jack Benny: My favorite character, along with Rochester. I love all of Jack’s fussy ways and little mannerisms and in-jokes. You are probably most familiar with these quirks: his insistence that he is only 39 every time his birthday rolls around, and his legendary tight-fistedness with money. Even though these gags are a constant, the writers always seem to wring out some new funny aspect of them. Rochester (Eddie Anderson): Jack’s valet on the show is also a master of comic timing and asides. Rochester would frequently upstage Jack, and was quite often the voice of reason, although Jack was usually too stubborn to listen! Phil Harris: The show’s band leader for most of its run is my second favorite after Jack and Rochester. I later recognized his fantastic voice as some beloved characters in these classic Disney films: The Jungle Book (Baloo), Robin Hood (Little John), and The Aristocats (Thomas O’Malley). Mel Blanc: Everyone knows the voice of Bugs Bunny and classic Warner Bros. cartoons! But it was a very happy surprise to find out that MB was a regular on JB. You can definitely hear some of the mannerisms of those animated characters in the roles he plays here. And might I add, if you listen closely you can recognize the genesis of some of the in-jokes from the cartoons. I’ll have to get some specific examples to add here but trust me, they’re there. In 1950 the show debuted on television on CBS. I’ve actually watched a few of these on TV and they’re still good, but I have to admit that some of the really old TV shows seem too slow-paced (even to a nostalgia buff like me). The radio program seemed a little snappier…but I guess I’ll have to give the new-fangled medium of TV a try on this one. I don’t listen to Elliott Smith that often, because his music is associated with melancholy moods. But when I do, I continually re-discover the beauty of his singing, playing, and songwriting (both lyrics and melodies). I’ll probably add to this post periodically (so that it’s a living, breathing thing – rawwr! ), but here’s the first in what will be a chronological listing of my Elliott Smith favorites. I really love all of the Elliott Smith-penned songs on this album from Heatmiser, the band Elliott Smith was in before going solo. My absolute favorites on the album are “Plainclothes Man,” “The Fix Is In,” “See You Later,” and “Half Right.” The lyrics aren’t quite as fully-formed as those in his solo efforts, but the plaintive and wistful melodies are right there, and you can see how they are the jumping-off point into his first solo album. This album as a whole is definitely more “rockin'” than his solo efforts, which I actually enjoy as a bit of a change from the Elliott Smith most of us know and love. Preview the songs on Amazon.com if you like. 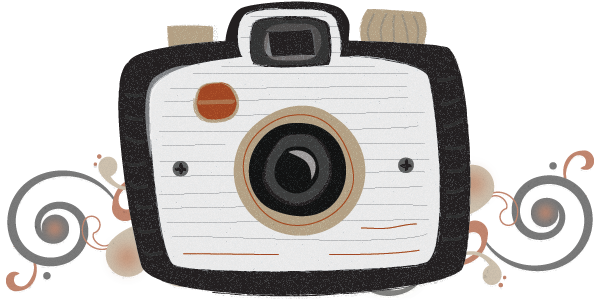 I chose my blog’s theme because it matches my collection of vintage cameras! Above is a quick attempt at an iPhone Pano of my collection (which is apparently too wide for a basic shot, but you get the idea). 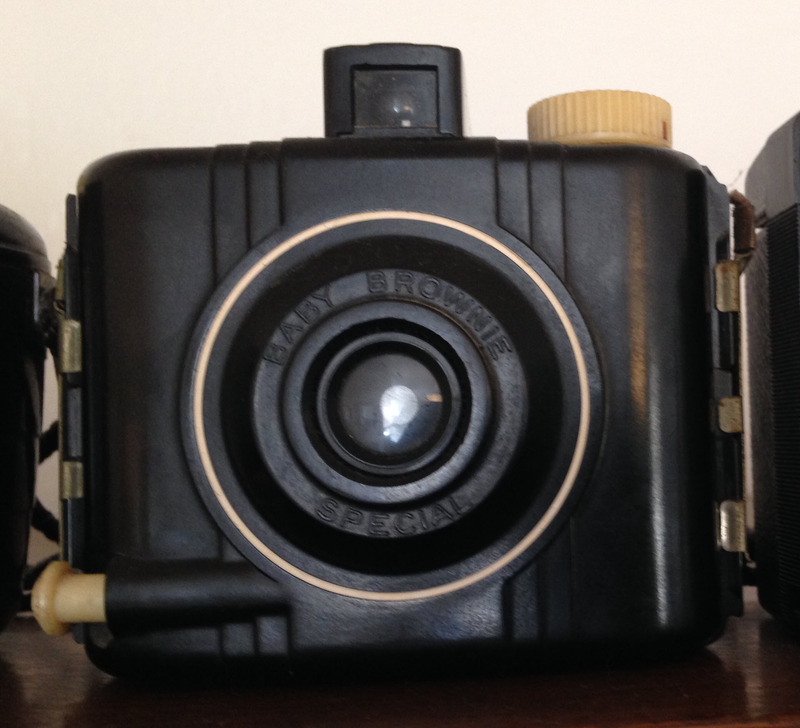 I acquired my collection of 9 vintage cameras from various places, mostly during the early 2000’s from the Venice High School Flea Market. At that time I was going regularly, and it was always good for at least one fantastic score of some cool old item or another. It’s probably still awesome, but since I moved to San Diego in 2006 I haven’t been back. I have very fond memories of that market, so I do intend to go back someday soon. This was the first in my collection. According to this site, it may be from 1946. Can’t find out much about this one as of yet, so I probably need to buy this book, stat. This is one of the few that I didn’t get at the flea market. This was part of a kit I found in the Long Beach Unified School District’s warehouse for old stuff when I was a teacher. 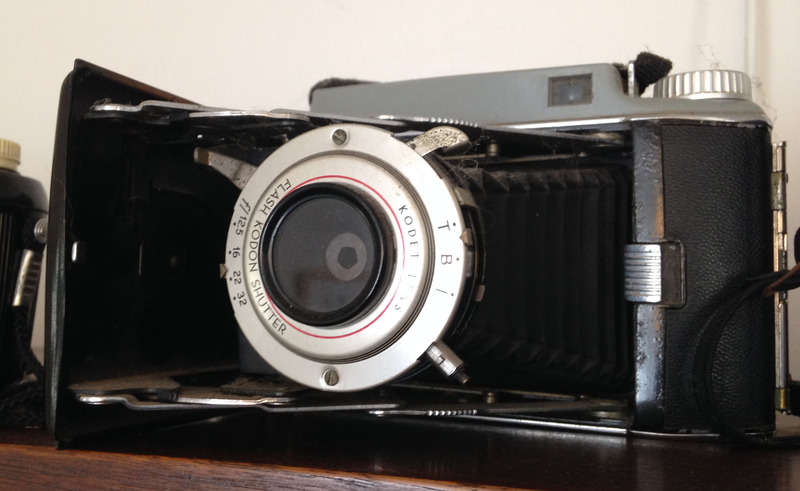 The kit was a slide making kit, which included this camera, plus a metal holder for it that had a square base, so that you could put the item into it and the camera would be held steady for the photo. According to this site, it’s probably a 70s-80s model. This picture reveals my poor dusting habits. Be that as it may, I still love my cammies. This one was produced between 1952-1959 according to this site. Again, one of the few that I got outside the flea market, this one was a gift from our good friend Joe. What a sweetie! Not sure where he picked it up. It was manufactured from 1951-1958. This guy wrote quite a nice blog post about it. 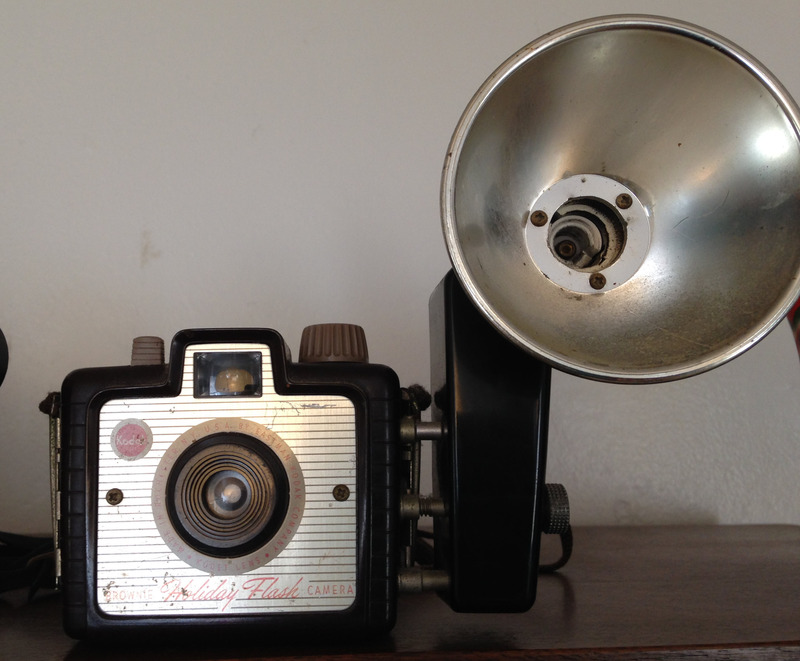 Manufactured from 1957-1964, this is one of two in my collection that have the “reporter’s flash.” At least, that’s how I always think of the large flash piece. 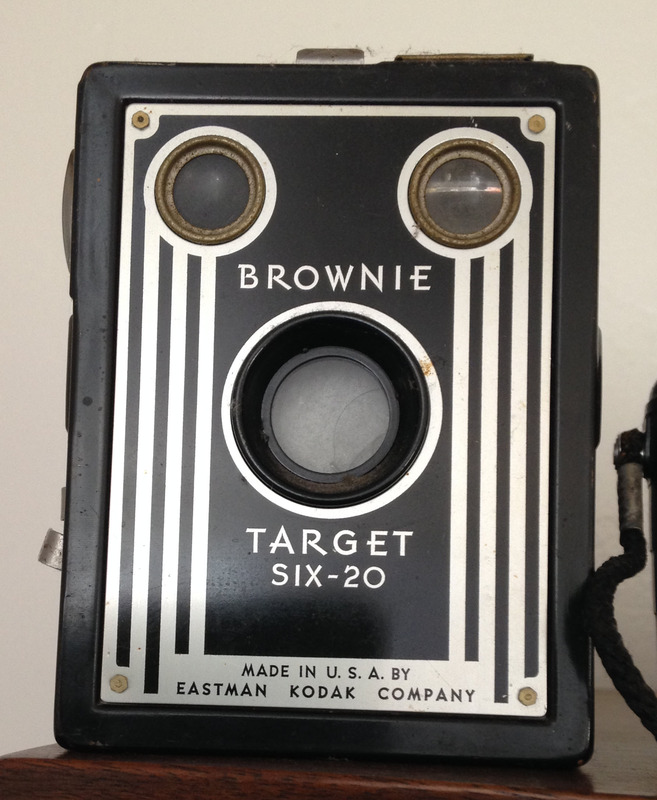 Here’s more info on this camera. 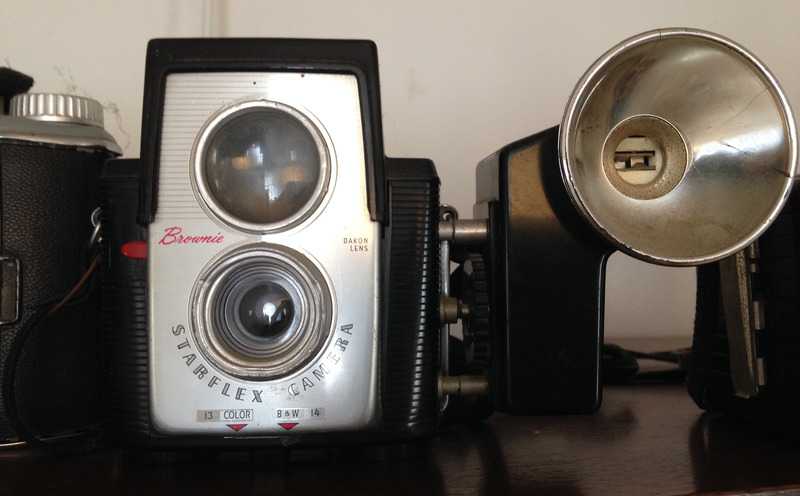 This camera is the second of two with a large flash apparatus. I think it’s so cool-looking. 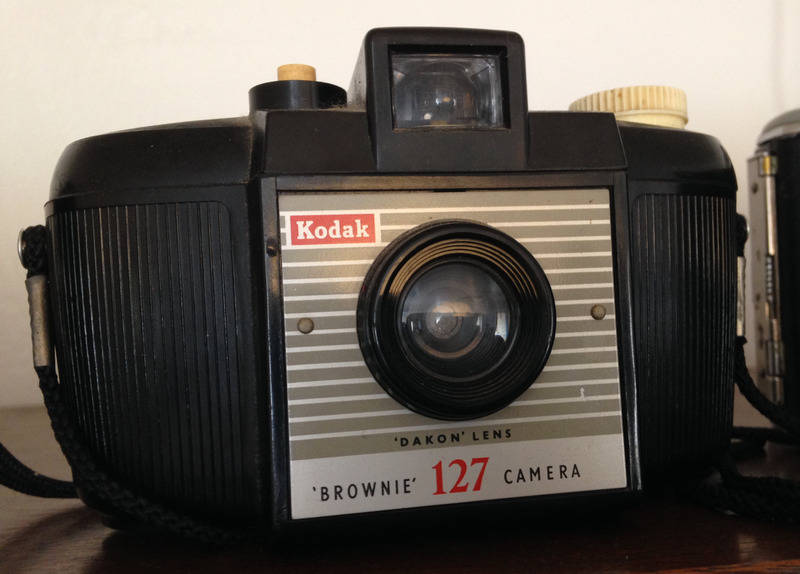 According to this site it was manufactured from 1953-1962. 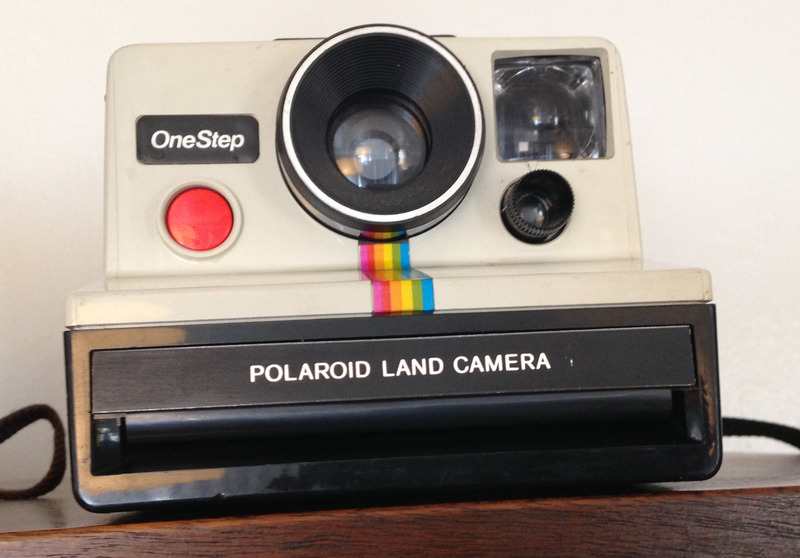 Looks like Polaroid catalogs this on its own site, which was a nice surprise. When you click the Shop button on that site, however, it takes you to Amazon.com, where the first one I can see at the time of this posting is listing for almost $300.00. Wow! 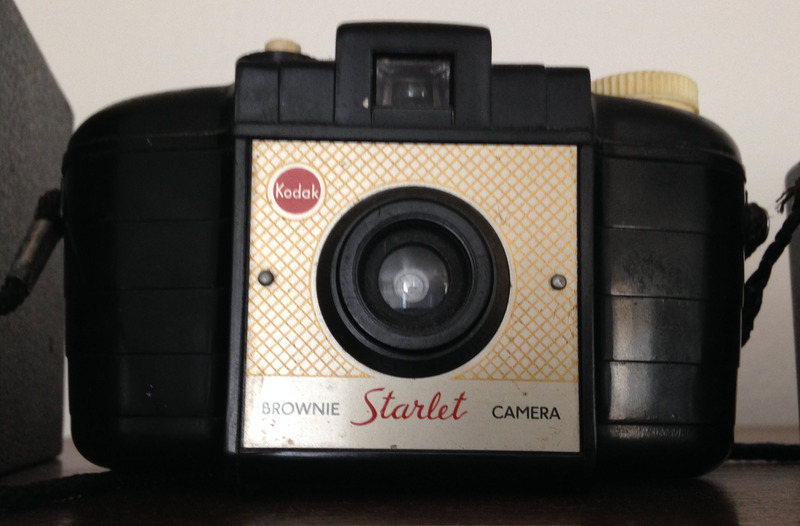 But I would never sell this one because it is one of the few things I have left from my mom & dad. 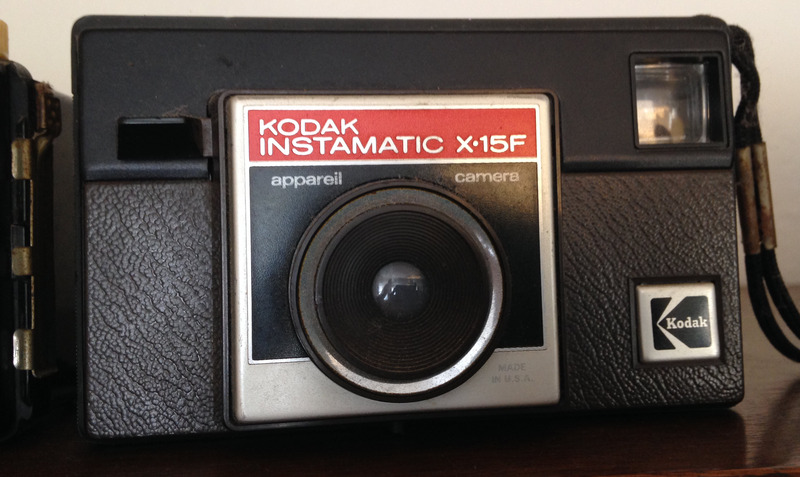 I (think) I remember when Mom bought this one, Polaroids were quite the thing back then. That’s the end of my catalog – for now. Hope you enjoyed checking out these beautiful pieces of machinery.